There are many uses for nitrogen gas besides welding. And here’s a hint: it saves lives! That’s right, it’s used for a life-saving medical procedure called cryotherapy. Cryotherapy is a non-invasive technique that, for lack of a more technical term, freezes and kills abnormal cells, like lesions and cancer. Unlike conventional surgery or even laparoscopic surgery, cryotherapy is an outpatient procedure that’s quick and relatively painless. Cryotherapy can also be used to remove warts, lesions and cataracts. Nitrogen gas is the coldest available cryogen gas with a sitting temperature of -320°F (-196°C). Nitrogen is combined with other gasses, and then a small amount of this mixture is pinpointed onto the unwanted tissue freezing and essentially killing it. Because of the nature of these combined materials, only the unwanted tissue is targeted and nothing else, making this a quick effective and precise procedure. Cryotherapy and cryosurgery are also being used to remove cancerous tumors. The cryosurgery works similarly to cryotherapy. The surgeon pinpoints the cancerous cells and sprays them with liquid nitrogen. Like we described above, only the unwanted cells are deadened, leaving more healthy cells than other types of lumpectomies and removals. The dead cancerous cells dissolve, leaving behind only healthy tissue. 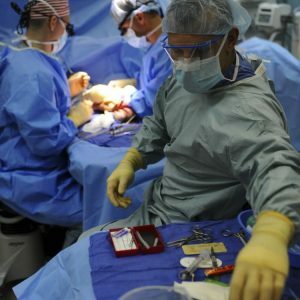 Since nitrogen gas allows doctors and researchers to target exact areas with more precision than ever before, they are developing more new and innovative ways to use nitrogen gas in operating rooms. 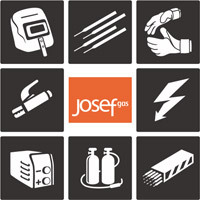 JosefGas is your premier supplier of medical grade nitrogen gas in the GTA. We offer the highest quality at competitive costs, because we understand that lives depend on quality of our medical grade nitrogen gas. For more information on high quality, medical grade nitrogen gas in the GTA, call us at 416-658-1212 or email us at info@josefgases.com.